This lovely mama was the lucky winner of a Fresh 48 session during my grand opening celebration last fall. 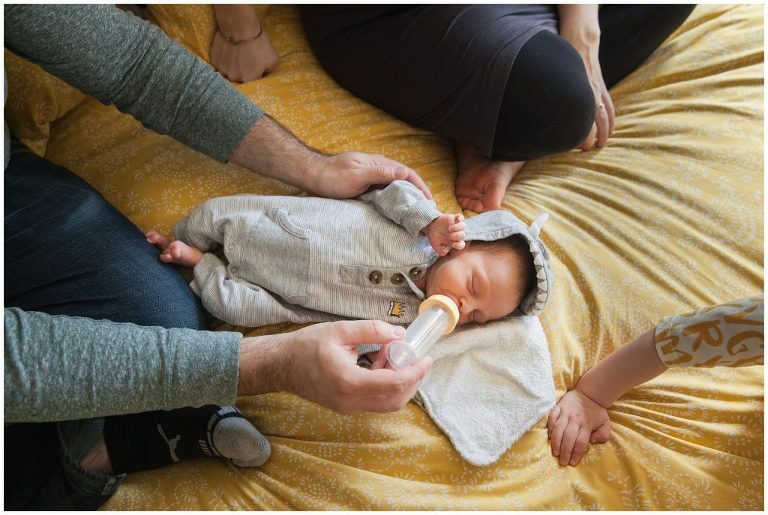 However, her sweet little boy had other plans as he made an early arrival and had to spend a bit of time in the NICU before he was able to come home and so we changed our plans to photograph the whole family at home a few weeks after he was born rather than do photos in the hospital as planned. It’s so important to me to be able to deliver photos to my clients that fill their hearts and while one family might be interested in documenting the days a brand-new baby spends in the NICU and remembering that part of their family’s story, another family might be more enthusiastic about waiting a bit and capturing more relaxed newborn photos at home. I want to help you tell your story and how we choose to do so together is up to you. 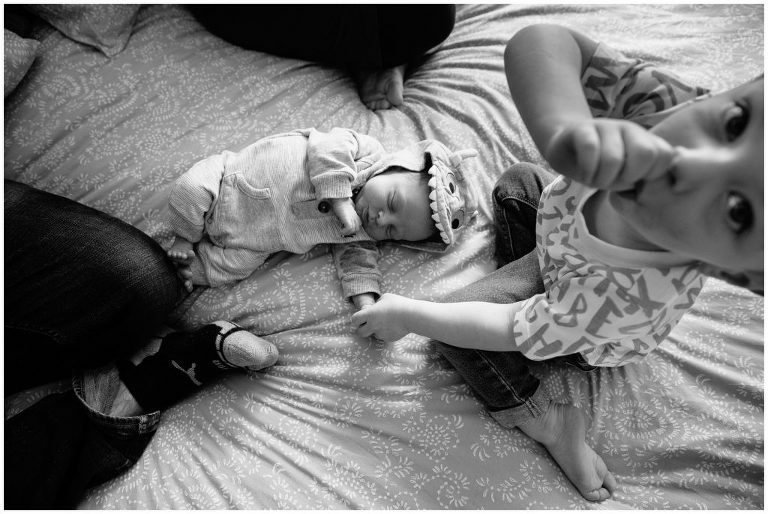 I joined this wonderful family on a weekday afternoon to capture a snippet of their new life as a family of four. They snuggled, played, hugged, kissed and during our few hours together their love and joy was front and center. 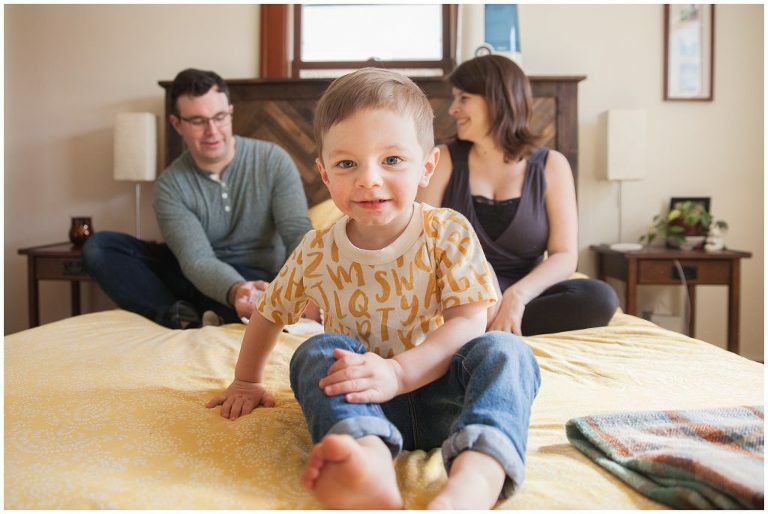 I feel like I’ve said this SO many times, but it is such an incredible privilege to document these special moments for families and the honor of it feels so fresh each and every time I’m invited into a family’s home to help tell their unique story. I hope you enjoy these relaxed newborn photos as much as I do and that you can feel the love, light and joy that I see in so many of them.